The storm reduced driving visibility so much that I had to stop twice on the side of the road. 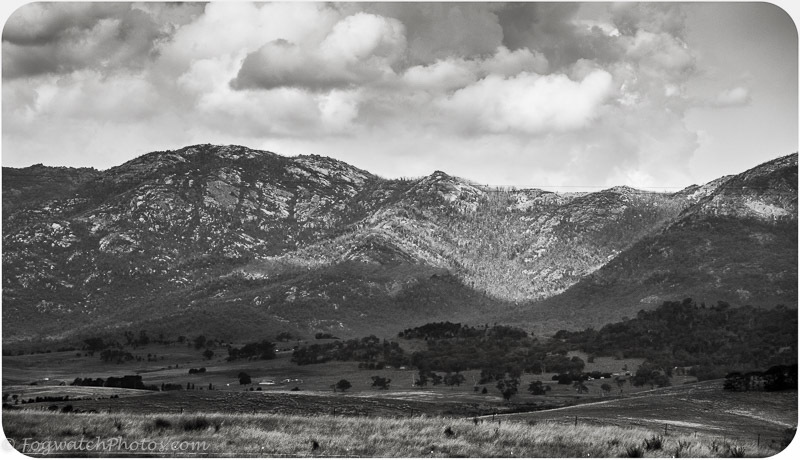 As the rain front passed I glanced over toward the distant hills – part of the great Snowy Mountains chain – and took this shot. It was an Ansel Adams moment – a landscape that leant itself to a treatment similar to that of the great American photographer.